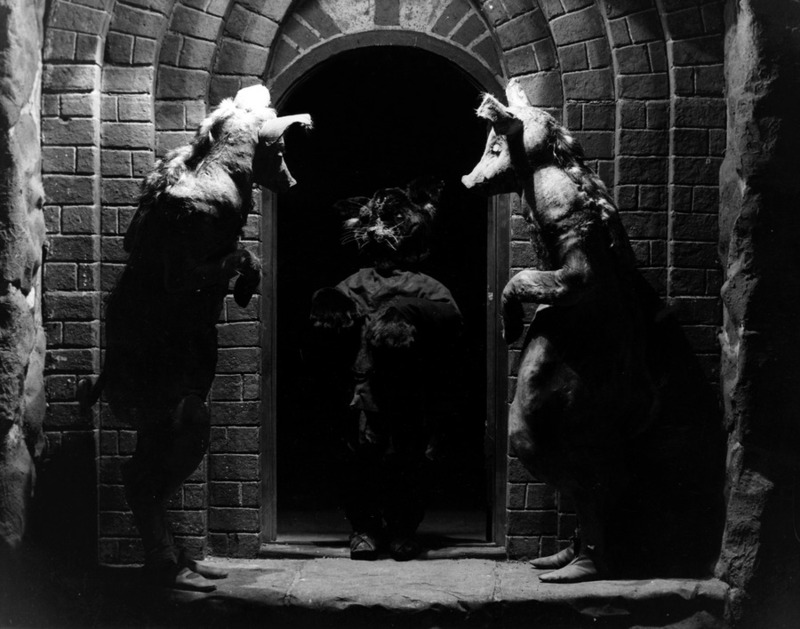 In one of the first attempts I made at canonising the sub-genre of Folk Horror, I likened the majority of its films to be brilliant but mere fugues on the ideas presented in Benjamin Christensen’s Häxan: Witchcraft Through The Ages (1922). Outside of Victor Sjöström’s The Phantom Carriage (1921), it was the earliest and most explicit form of the sub-genre that seemed to be surviving yet, for most of that article, very little was actually discussed about the film itself and its many merits. Häxan is such an odd entity that it’s surprising that it even exists. The film unsurprisingly caused outrage on its release from Mary Whitehouse’s moral ancestry and offended the usual religious groups but to consider all of this against the context of the very medium of cinema being barely two decades old, it suggests that there is more going on in the film than simply the horrific. Häxan is a complex film that is full of thematic and visual trickery. For a medium to try something so outlandish so early on is refreshing though of course this was the era where innovation was simply an everyday aspect of the job. Perhaps what is most interesting about Christensen’s film is its blurring of reality and fiction; a common problem and tool of documentary filmmaking in general but one that is used here quite specifically for horrific purposes. In this sense Häxan could be considered the first found footage horror, if only it presented itself in such a way directly. To call it such would, however, be a disservice and this article aims to look at how Häxan breaks the boundaries between the horror of reality, why it is apt for a film drenched in folklore, and the psychological impact of such blurring. Gradually, Häxan begins to reproduce the ceremonies, punishments, and rituals of these times but opts to also show a potential, supernatural force as part of reality. 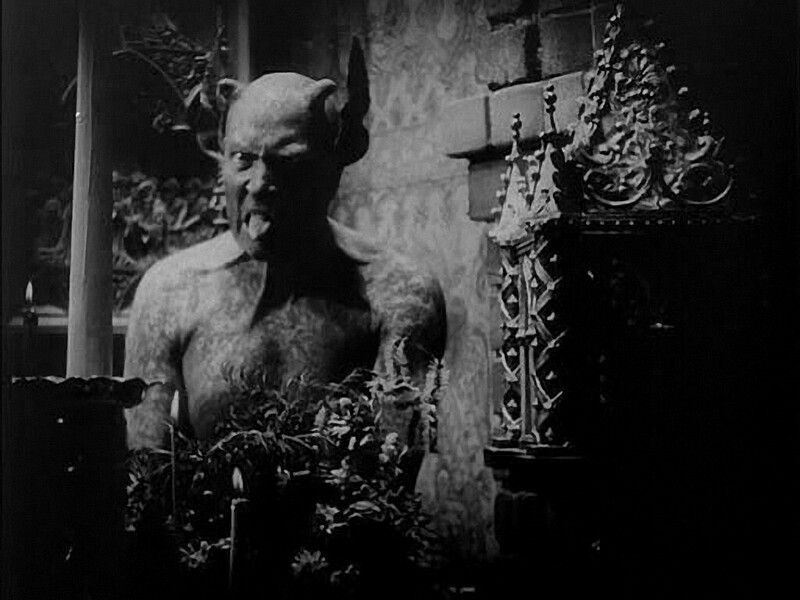 Before the viewer has had time to assess what has actually happened, Christensen has put devils of all sorts into the mix, even going so far as to play one himself; he is the ultimate trickster of the film. This overt interpretation of the supernatural comes as real shock, chiefly because the film sets itself up as being so traditionally factual that the presence of flying witches and devils sacrificing babies becomes just another aspect; in other words it is normalised. Christensen was, however, also deft in his choice of horrific material. The simplicity and effectiveness of occult horror comes from something far deeper and cultural within the psyche of a sociological kind. It is an idea that is best surmised by contextualising it and the film’s content in the ideas of the uncanny put forward by Sigmund Freud. Freud wasn’t the first to put this idea into the realm of philosophy but his circular dissection of the idea is one that can be applied to both Häxan ‘s creative success and the success of the occult horror that followed its mould. “It would seem as though each one of us has been through a phase of individual development corresponding to that animalistic stage of primitive men, that none of us have traversed it without preserving certain traces of it which can be re-activated, and that everything which now strikes us as “uncanny” fulfils the condition of stirring those vestiges of animalistic mental activity within us and bringing them to expression.” (1919). There’s a multitude of potential implications of this idea to Christensen’s film which, rather shockingly in hindsight, is made only three years after the publication of Freud’s essay. The idea that our perception of the uncanny is one that is born of a memory that we have had to discard is fitting for the film as its shock comes from the realisation that this horror is naturally fitting in a documentary setting; these were our sociological practices based on, what now seem, incredibly fallible beliefs. Our fear of pagan practices and the beings they supposedly can summon up therefore shocks for two distinct reasons. The first is the stylised realisation of these beings in a form that, hypocritically of its own accord, is mined from an ore of fact. The structural disintegration of the film, that builds the uncanny into its second movement and beyond, is vital for Christensen to be able to turn it around in the final quarter of the film and contextualise the perceived fantasy within the modern medical knowledge of his present day. The ending of his film is truly horrific as he has shown history to be terrible even if the presence of devils is something folkloric rather than actual. The second is the building of the horror on a branch of narratives that automatically ties in naturally to Freud’s ideas of the uncanny. Folklore in itself can seem horrific in cinema quite specifically because of its aesthetic horror but it is also more disturbing simply because it is recognisable within a not-too-distant cultural past. The horrors of Häxan presents a pure form of the uncanny as the horrors within are automatically imbedded into our psyche through fairy-tales and the like, almost becoming a collective race memory. Freud later went on to state that ” We also call a living person uncanny, usually when we ascribe evil motives to him.” which is a somewhat fitting conclusion to a film that goes to great lengths to document the past misunderstandings of generations to be read as horrific and a potential evil. The Unleashing of Repressed Eroticism in Black Narcissus (1947) and The Shining (1980).